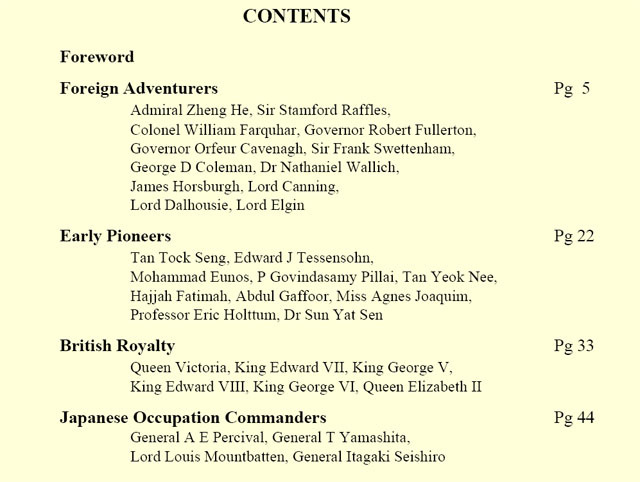 The earliest adventurer shown on Singapore stamps is Admiral Zheng He. He came from China to Southeast Asia in 1405. A hundred years after him came adventurers from European nations (Portugal, Spain, Holland, Britain and France) who wanted to get a share of the spices in Southeast Asia. These European nations began to fight for control of the places involved in the Spice Trade. The port of Malacca on the west coast of peninsular Malaysia was conquered by the Portuguese in 1511. The Dutch, having established their trading stations in Indonesia from around 1602, fought and defeated the Portuguese and ruled Malacca from 1641. 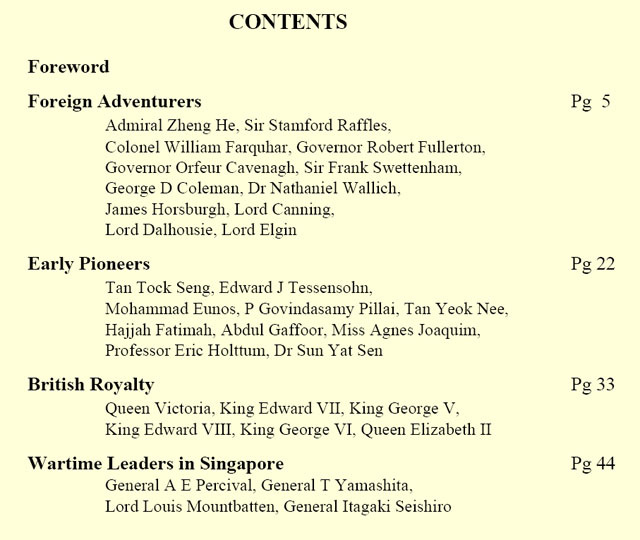 The British came to Southeast Asia much later. 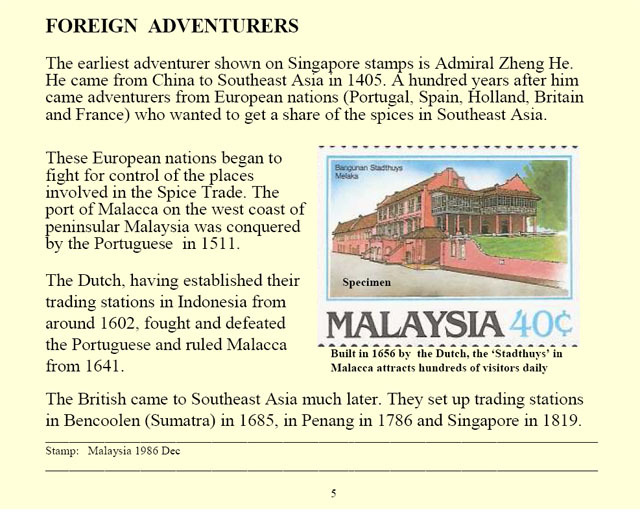 They set up trading stations in Bencoolen (Sumatra) in 1685, in Penang in 1786 and Singapore in 1819. Stamps can help to provide an avenue for learning about a nation’s history and heritage. 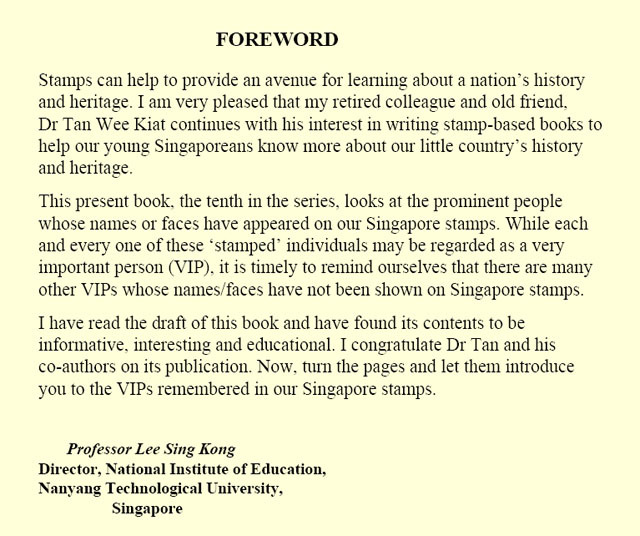 I am very pleased that my retired colleague and old friend, Dr Tan Wee Kiat continues with his interest in writing stamp-based books to help our young Singaporeans know more about our little country’s history and heritage. 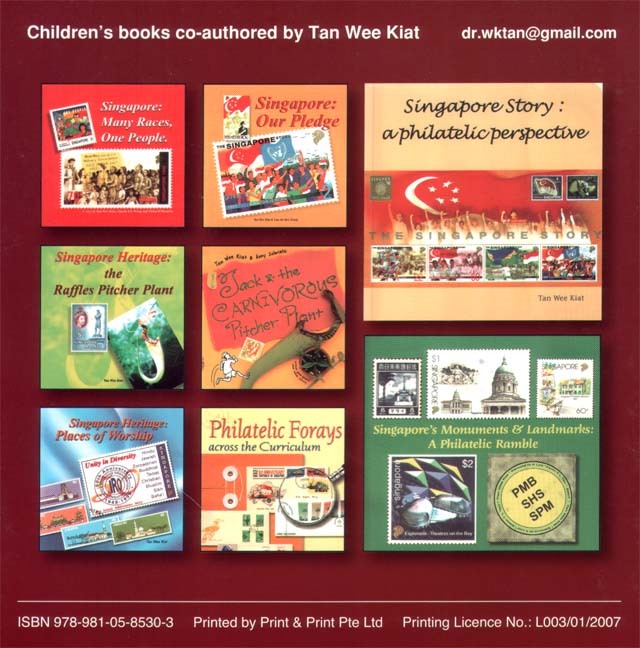 This present book, the tenth in the series, looks at the prominent people whose names or faces have appeared on our Singapore stamps. 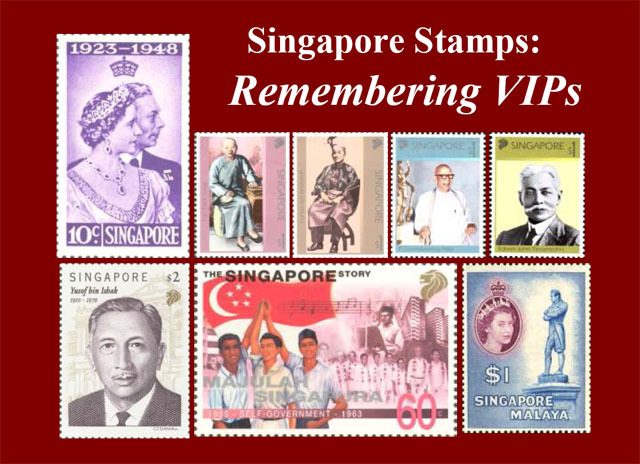 While each and every one of these ‘stamped’ individuals may be regarded as a very important person (VIP), it is timely to remind ourselves that there are many other VIPs whose names/faces have not been shown on Singapore stamps. I have read the draft of this book and have found its contents to be informative, interesting and educational. 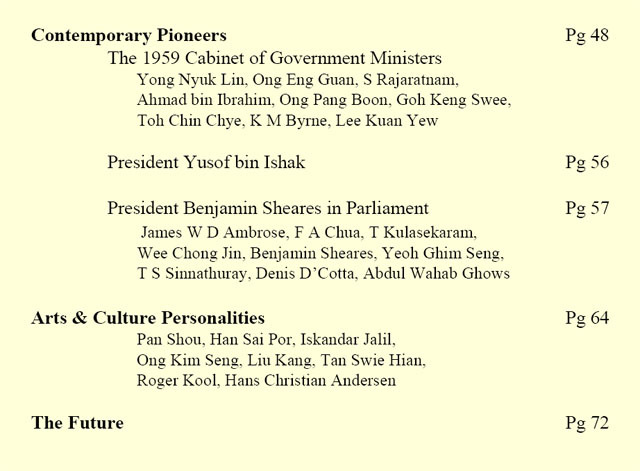 I congratulate Dr Tan and his co-authors on its publication. 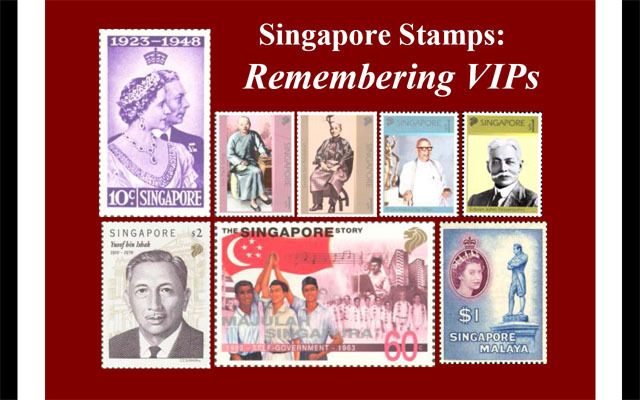 Now, turn the pages and let them introduce you to the VIPs remembered in our Singapore stamps. 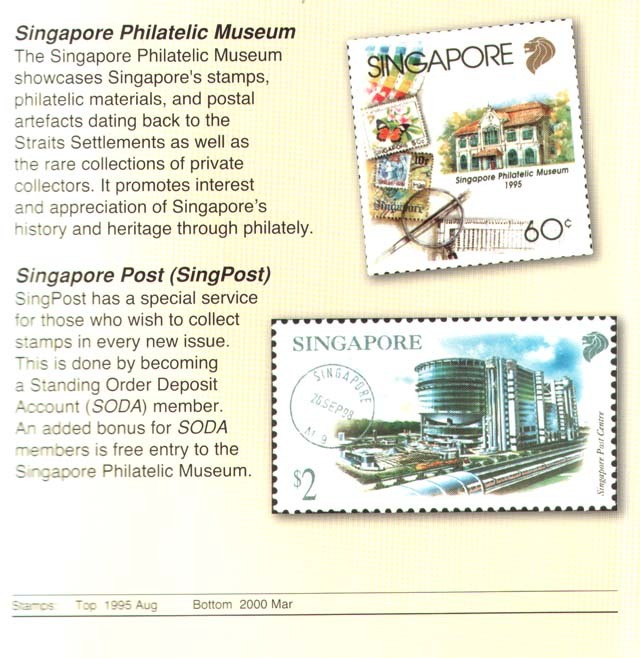 history and heritage through philately. a Standing Order Deposit Account (SODA) member.